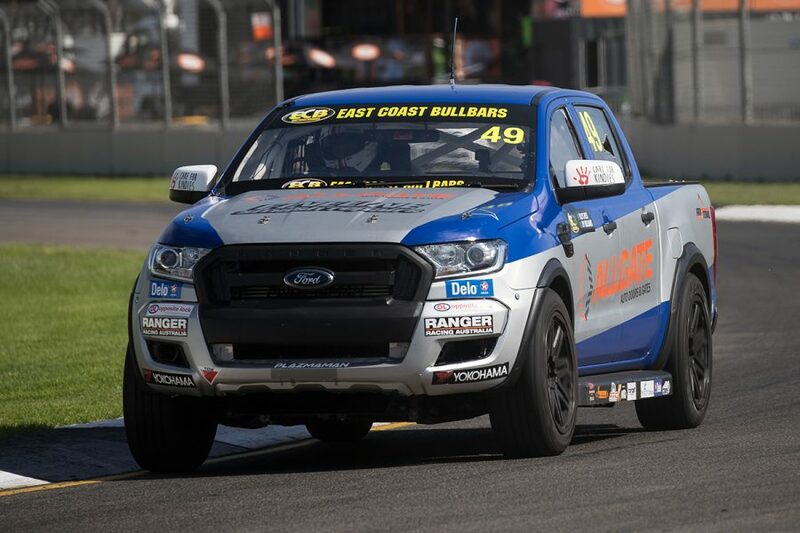 A rebuild of Christopher Formosa's Allgate Ford Ranger is in progress, after its rollover in the opening race of the 2019 ECB SuperUtes Series in Adelaide. Formosa's Ranger rolled in dramatic fashion at Turn 5, after he was clipped by Micheal Sieders on the opening lap of the sophomore season. Sieders' Toyota Hilux tagged the rear of Formosa's Ford, which was shot into the tyre barrier and hit by the Holdens of Dean Canto and Benjamin Falk before coming to a rest on its lid, the 24-year-old emerging unscathed. Ruled out of the rest of the weekend, the Ford is being repaired with a target of getting it back on track for Round 2 at next month's PIRTEK Perth SuperNight. Ross Stone Racing built the Ranger initially, and is playing a role in its rebuild along with SuperUtes suppliers and a local smash repairer. "The Ute is getting rebuilt at the moment, it's up in Queensland, in and out of Ross' factory," Formosa told Supercars.com. "I think all the parts have been sent away to different areas to get looked at. "We've got different parts sent to Pace [Innovations, SuperUtes technical partner], as well as Craig Haysted with the motor. "We're rebuilding the cab, as a lot of the running gear was alright; it was just the body that got ripped apart, it looked a lot worse than it actually is. "The roll-cage did its job, it's all intact and I guess after getting hit three times upside down it just tore apart the cab." The Allgate squad has a second Ford at its disposal, introduced late last year and raced by David Sieders and Richard Mork. It did not make an appearance in Adelaide and now exists as a back-up for Formosa if the rolled Ranger isn't repaired in time. Complicating the rebuild is that the rollover crushed the car's cut-off switch, meaning the engine kept running while upside down. Similarly, the trip across the Nullarbor takes time out of the equation before the May 2-4 event. "We were going to get a second driver in the second car, but at this stage we're keeping the second car available," said Formosa. "The body should be back at Ross' factory this week to start being put back together, but we're just waiting. "The motor ran upside down until it ran out of diesel, because we couldn't shut it off. It needed a good going over, so it's still at Craig Haysted's factory. "We don't know if we'll get that back in time unfortunately, so we're going to just keep going and if we need to use the second car, we'll use the second car." Ross Stone Racing built the Ranger as the SuperUtes technical package was formulated in 2017. "We mainly wanted to rebuild it because it was the first Ute built," Formosa added. 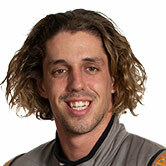 "It is sentimental for me, so even if I was never to race it again, I still would've got it rebuilt and kept it."